Today after shooting Singapore Airshow 2012 Sunday practice session I went over to Changi Airport for lunch before heading home. 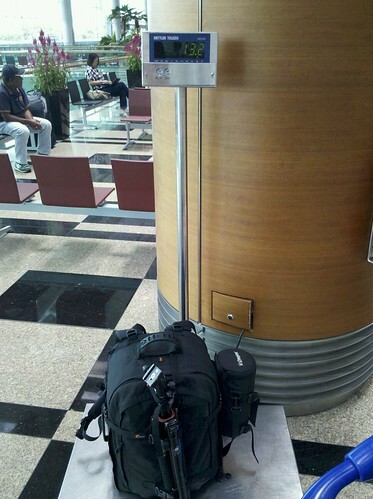 Since airport always have these weights around, out of curiously I weighted my bag -- 13.2KG!! !